According to the American Banking Association, there were 364 million open credit accounts in the United States at the end of 2017, as CreditCards.com reports. Crunching data from the Federal Reserve Bank of Boston and the U.S. Census Bureau, CreditCards.com calculates that approximately 189 million American adults have at least one credit card. And many millions have more than one. According to Experian’s State of Credit: 2017 report, the typical American consumer has 3.1 credit cards. But credit card usage patterns vary widely. Plenty of consumers make do with a single credit card. Others have two. Some have wallets brimming with five or more. The question “How many credit cards should I have?” has many possible answers. The number that works best for you will depend on your budget and spending power, lifestyle and spending needs, credit history and score, and personal tolerance for using credit cards. Before we go any further, it’s worth emphasizing that it’s best to avoid carrying credit card balances from month to month. Ensuring that your credit card use remains in line with your ability to repay charges is far more important than your total number of credit cards. Make sure each credit card you own has a distinct purpose and isn’t being overused. With that said, let’s take a closer look at the factors to weigh when determining how many credit cards you should have and whether you should apply for a new credit card soon. The five factors outlined below all influence your FICO score, a ubiquitous consumer credit score model used by lenders to assess prospective borrowers’ credit risk. Virtually all frequent credit card users have a FICO score, and this score will play into your credit card count calculation. This is the single most important FICO score determinant and counts for 35% of your score. The longer your record of timely balance payments, and the fewer and farther between your missed payments, the lower your apparent credit risk. Likewise, a pattern of frequent or recent missed payments is a red flag for the FICO model. The best way to keep your payment history on track is to limit your overall credit utilization, which may mean limiting the number of active credit card accounts you maintain. This is the ratio of your cumulative balance to your total available credit, or credit limit, across all active credit accounts. Your credit utilization ratio counts for 30% of your FICO score. A higher credit utilization ratio implies greater credit risk, so it’s important to keep yours in check. Under 30% is ideal, though there’s no universally accepted benchmark. The surest way to control your credit utilization ratio is to use credit judiciously. If you have just one or two credit card accounts and a low cumulative credit limit, restrict your credit card charges to particular expenses or spending categories, such as monthly utility bills. As your credit improves, you can open new credit card accounts to raise your cumulative credit limit and reduce your credit utilization ratio without self-imposed spending constraints. Think of this as your credit use track record. Clocking in at 15% of your FICO score, this metric measures the age, from opening date to present, of each open credit account. All else being equal, an older account mix implies lower risk than a younger account mix. This is a clear incentive to avoid closing accounts without good cause. Even if you don’t use an older account regularly, keeping it open and more or less dormant is a boon for your credit score. Your credit application pattern counts for 10% of your FICO score. A high application rate implies a higher credit risk, regardless of other mitigating factors. Your credit profile is better served by a slow and steady account accumulation rate, even if you can afford to scale up your credit card portfolio rapidly. Some credit card issuers go so far as to place a hard cap on new account openings. Chase’s “5/24” rule, for instance, limits individual cardholders to no more than five new credit card accounts from any issuer, not just Chase, within 24 rolling months. No matter how attractive it finds your borrower profile, Chase simply won’t approve your application for that sixth card. Credit cards aren’t the only accounts that factor into your credit score. The FICO model rewards diverse credit portfolios featuring multiple account types, such as credit cards, unsecured personal loans, secured debt such as auto loans and mortgages, and personal lines of credit. Your credit mix counts for 10% of your total credit score. You don’t need to rely wholly on credit cards to build a strong credit profile. As long as you have or had other account types open, you can limit your credit card portfolio to one or two cards and still maintain excellent credit. While these factors don’t directly affect your credit, they may have a significant impact on — and are likely to be informed by — your household budget, spending patterns, occupation, and lifestyle. You’ll need to apply each to your personal situation when determining how many credit card accounts to have. Many premium credit cards levy annual fees. This is especially true for those with attractive travel loyalty rewards programs. Popular travel rewards credit cards, such as the Capital One® Venture® Rewards Credit Card, charge annual fees just south of $100. Truly luxe travel cards are even more expensive; the Chase Sapphire Reserve® Card’s annual fee clocks in at $450, plus $75 per year for each authorized user. Charge enough on your annual fee card, and your earned rewards will offset this recurring charge. For instance, Capital One’s Venture card earns an unlimited 2 points per $1 spent on all purchases, the equivalent of a 2% return on spending. If you make at least $4,750 in eligible purchases each year, or about $396 per month, it will offset the $95 annual fee. Use your Venture card for everyday purchases, and you should have no problem clearing that threshold. Of course, the total threshold you need to clear increases with each new annual fee card you obtain. 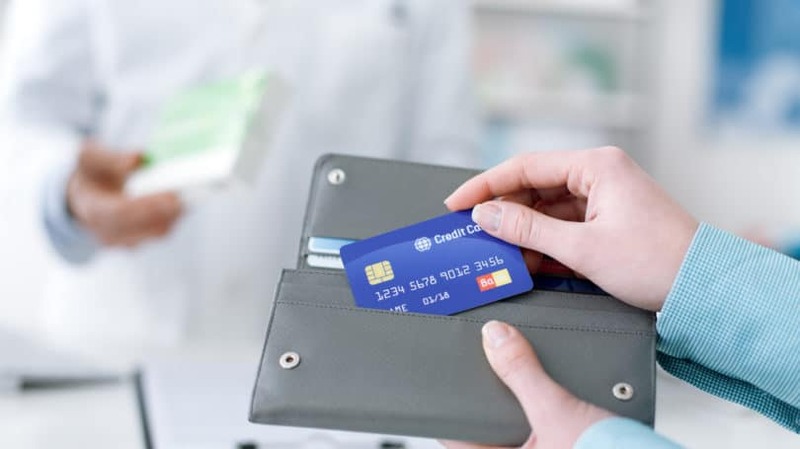 Unless your annual fee cards have valuable perks and benefits that justify their levies — more on what those might look like below — you should make sure to clear your cumulative fee threshold by a substantial margin. If your budget doesn’t allow that kind of spending, think twice about accumulating annual fee cards simply because their rewards or benefits look good on paper. Dozens of credit cards, including many of the top cash back cards on the market, come with low or 0% APR introductory promotions on balance transfers, purchases, or both. Balance transfer promotions are designed for applicants carrying high-interest balances on existing credit card accounts, while purchase promotions render major planned purchases more affordable by allowing new cardholders to finance them over many months without paying interest. If you’re eager to pay down high-interest debt or finance a big purchase in this fashion, you’ll almost certainly need to apply for a new credit card, as low or 0% APR promotions typically apply to new accounts only. Think carefully about the potential credit score ramifications here, particularly if you plan to close the account once you’ve zeroed out its balance to avoid an annual fee. Consider cash back or travel cards that you can see yourself keeping around after the promotional period ends, or choose a no-fee card you can keep dormant in your wallet or filing cabinet with no value erosion. Early spend bonuses — also known as sign-up bonuses or welcome offers, depending on the issuer — are just as common as low APR introductory promotions. In exchange for exceeding a set spending threshold within the designated time frame, early spend bonuses deliver cash or loyalty currency rewards. Some are quite impressive; the Chase Sapphire Reserve Card’s sign-up bonus is worth up to $750 in travel redemptions for a three-month initial spend of $4,000. It’s tempting to sign up for a credit card just to capture the sign-up bonus, but it’s not good for your credit score, and you may forfeit your bonus if you close your account too quickly. In addition, cards with generous early spend bonuses often charge annual fees. If you don’t plan to use your card for everyday spending after the bonus period, stick with a no-fee option or use your fee card to make strategic purchases to earn rewards and offset the annual fee. Credit cards come in a variety of kinds. If your credit profile and budget allow, why not sample the full spectrum — or, at least, more than a single type? I use three rewards credit cards for regular spending: a cash back credit card with quarterly rotating bonus categories, a flat-rate cash back credit card, and a premium travel and dining rewards card. Each serves a distinct purpose. I use the quarterly rotating card to maximize rewards on different types of spending throughout the year, the flat-rate card to capture a reliable rate of return on purchases and obligations I can’t avoid, and the travel and dining rewards card to reduce the net cost of discretionary spending. Your spending needs are unique, so your mix of credit card types might differ from mine. We’ll take a closer look at various credit card mix scenarios in the following section. A credit card’s rewards program shouldn’t be the only factor in your application decision. Some credit cards have standard-issue consumer protection and fringe benefit packages backed by networks like Visa or Mastercard. Others have substantial perks and privileges worth hundreds or even thousands of dollars annually when fully exploited. Ultimately, it’s up to you to determine which of these perks and benefits matter most to you and how high an annual fee you’re willing to bear in exchange. If you elect to apply for more than one card with valuable perks, make sure each card has a distinct purpose — for instance, international travel or everyday spending — and that you’re able to extract enough value to offset any annual fees. Concerns about credit utilization and timely payments notwithstanding, the importance of keeping your credit cards’ balances in check should be self-evident. You don’t want to miss a payment due date or forget about a little-utilized card’s balance due to poor account management or inertia. Nor should you rack up inadvisable balances on multiple cards, however tempting or convenient it might seem. For simplicity’s sake, it’s best to find an issuer you’re comfortable with and keep most or all of your credit card accounts there. Make exceptions only in specific cases, such as opening a retail credit card account to capture a limited-time promotion or discount. Some may say it’s a good problem to have, but finding a use for non-cash rewards balances can be a chore. I’m guilty of underutilizing rewards myself; despite my best intentions, I haven’t cashed out my premium travel card’s rewards balance in over a year. Luckily, most premium credit cards’ loyalty balances last indefinitely, or at least until the account is closed. But their relative value may decline over time, and forgetful cardholders may accidentally forfeit their balances if they close their accounts. Unless you know you’ll find ample opportunity to redeem at regular intervals, it’s best to keep just one or two non-cash rewards credit cards, no matter how heavily you spend in the expense categories they favor. Don’t think of yourself as a business owner? If you receive enough income from self-employment to file Schedule C or C-EZ with your federal tax return, that’s good enough for small business credit card issuers. Even if your business activity generates little spending on overhead, equipment, supplies, or services, a rewards-earning business credit card reduces your net expenses. Bear in mind that business card accounts must remain separate from personal accounts; you can’t use a business card to cover household purchases, for instance. Accordingly, your business credit card should exist alongside your personal credit cards, not as a replacement for them. Every consumer is unique, but many fall into one, if not several, of these categories. Here’s some general guidance on what each situation might mean for your ideal credit card count. As always, you’ll want to apply it to your personal situation. We all start somewhere. If your credit history is thin or inconsistent, set your sights on an entry-level credit card. Many first-time credit card users opt for secured credit cards, which use cardholders’ security deposits to guarantee charges. In most cases, you’re not permitted to carry balances greater than your security deposit, the value of which is set by the issuer’s underwriting team. All else being equal, responsible credit utilization and timely repayment should raise your score over time. However, as a first-time credit card user, you may not have sufficient credit to qualify for more generous credit cards with higher spending limits. By default, you’ll likely be limited to a single card, at least for the first year or so. If your credit history includes an accumulation of blemishes (such as multiple delinquencies) or a more serious issue (such as a bankruptcy), you’ll want to keep your card count low. In fact, you may not have a choice in the matter. After receiving notification that you’ve declared bankruptcy, your creditors will probably close any open accounts, absent mitigating circumstances. The most likely outcome of the process is a clean slate with no revolving lines of credit, including credit cards, to your name. Bear in mind that creditors frown upon recent bankruptcies. But don’t worry; while a discharged bankruptcy remains on your credit report for seven to 10 years, you won’t have to wait that long to apply for a new secured credit card. Still, unless you were able to carry one or more accounts through your bankruptcy, you’ll likely start with and maintain just a single account. For purchases not covered by specialized rewards cards, it’s smart to keep a flat-rate cash back card or category-based card on hand. Make sure you don’t neglect this strategy’s full earning power; “everyday spending” can also mean big-ticket expenses such as auto repairs and home improvement projects. Your everyday spending card won’t maximize your potential return on spending, though. If that’s your goal, you’ll need specialized cards that earn cash back or loyalty currency in rotating or permanent spending categories, such as gas, groceries, and travel purchases. If you have a long commute, for instance, you’ll definitely want a gas credit card. Depending on the complexity of your everyday spending, you might need three or more cards to feel like you’re covering all the bases. If you’re carrying a high-interest credit card balance on one or more open accounts, consider applying for a balance transfer credit card with a long low or 0% APR promotion. Use this card to pay down your transferred balances only, not to make new purchases. Think of your balance transfer card a temporary accessory. Once its purpose is fulfilled, you’re free to close the account or — preferably, from a credit standpoint — keep it open and dormant so it counts toward your credit card total. If you’re self-employed or run a small business, consider applying for at least one small business credit card. Business credit cards are nearly as varied as consumer cards; some are known for low regular interest rates, some for flat-rate cash back, and others for travel loyalty rewards. Your business activities will determine your optimal card choice. For instance, if you frequently travel for business, you’ll want a business card that earns rewards on travel purchases. If your business budget allows, consider multiple business cards, such as one for specialized expenditures like travel or warehouse club purchases, one for fuel expenditures, and one for general cash back. As noted above, the fact that you have one or more business cards has no bearing on your personal credit card portfolio. 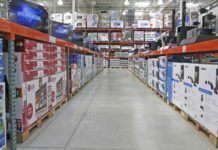 For legal and tax purposes, it’s in your best interest to maintain a strict separation between business and personal spending, anyway. As a result, an entrepreneur may well carry more credit cards than their traditionally employed peers, and that’s OK. If you’re planning a major purchase that’s beyond your capacity to pay out of pocket, apply for a credit card with a low or 0% APR introductory promotion on new spending and use it to compartmentalize your planned expense. For example, a $2,000 purchase is far easier on your budget when paid off in 18 equal installments of $111. Charge the purchase during your first month of card membership, then pay off the resultant balance by the close of the promotion window, which can last 18 months or longer on premium 0% APR cards like the Citi® Simplicity Card. Just remember to pay off the amount in full before the introductory period ends, or prepare for hefty interest charges. While you’re paying down your big buy, use your everyday spending and category-specific cards to cover routine outlays. Once the purchase is paid off and the promotional period ends, keep your card on hand to maintain a higher average account age and lower credit utilization rate. Like that dormant balance transfer card, it will add to your credit card total without complicating your finances. I have three rewards credit cards in my regular rotation and allocate my spending among them to maximize their earning potential. I rarely use my rotating category card to make purchases that don’t qualify for its quarterly 5% bonus cash back categories. When the bonus category is gas station purchases, I’ll max those out before the end of the quarter, then switch to supermarket purchases, or whatever is the next bonus category, the following quarter. I use my flat-rate card to cover everyday expenses that won’t earn a higher rate of return on the other two cards and my travel and dining card to capture the maximum rate of return on airfare, hotel, and restaurant spending. Plenty of consumers are even more ambitious than I am, juggling half a dozen or more cards with different rewards programs. The sky’s the limit here, but bear in mind your budget, credit utilization, and tolerance for fees. Don’t apply for new credit cards simply to chase rewards. While I don’t make a habit of seeking out sign-up bonuses, I do occasionally apply for a new credit card account for the sole purpose of capturing a discount or windfall. For instance, to reduce the out-of-pocket cost of a recent jewelry repair order, I signed up for a national jewelry retailer’s store credit card despite having no intention to use the card regularly. Though the initial purchase has long since been paid off, the account is still open and will be for some time. This strategy will almost certainly increase your total credit card count, provided you don’t close the accounts soon after claiming the promotional windfalls. Even with a modest budget, you should have little trouble accumulating low-limit store cards for this purpose, as long as you don’t rack up subsequent charges. The limiting factor will be your credit profile; applying for multiple accounts in short order is not a best practice. 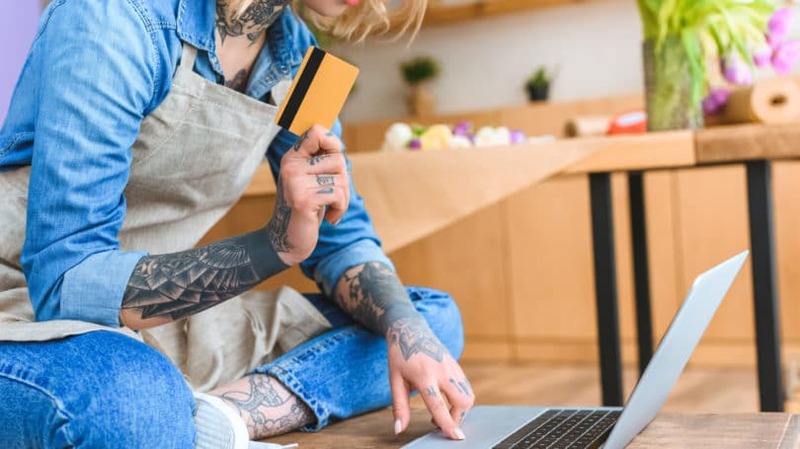 These factors and scenarios represent only some of the considerations to take into account when determining how many credit cards you should have. 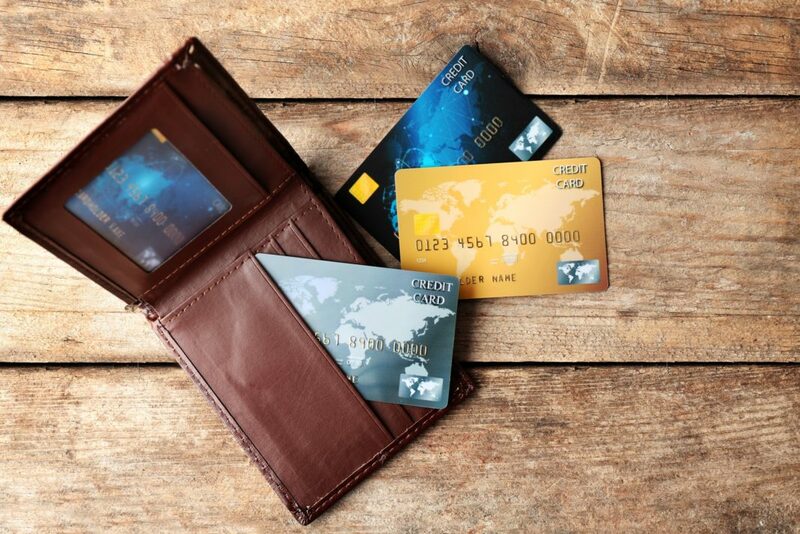 The decision to accumulate and discard credit cards is a personal one that ultimately depends on your unique situation. That situation is subject to change, of course. As your income rises and your credit improves, you’ll have an easier time qualifying for premium credit cards with juicy rewards programs. Should you decide to parlay your freelancing work into a full-time solopreneur gig, you’ll have a use for a small business credit card. If you decide your growing family deserves a more spacious or luxurious living space, you’ll be grateful for the variety of low or 0% APR introductory promotions out there. Bookmark this page. If you’re keeping close tabs on your spending needs, you’ll want to check back often. How many credit cards do you have? What purposes do you use them for?